Phil’s BBQ, which opened its doors in 1998, has served more than one million pounds of BBQ sauce to go along with its. Serving thousands of customers a day Phil’s has built a foundation on consistency, quality, freshness and friendly service. Phil’s BBQ offers full service catering via a fleet of high tech trucks fully equipped with hands free phones and GPS systems, ensuring each craving gets satisfied. in the Creekside Marketplace at 579 Grand Avenue. It is open Tuesday through Thursday and Sunday 11a.m.–10 p.m.; Friday and Saturday 11a.m.–11p.m. ; and, closed Mondays. 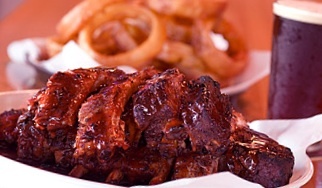 Highly regarded and acclaimed as the best barbecue restaurant in San Diego says volumes for how incredible the barbecue at Phil’s tastes. The mesquite grilled taste says it all! Ordering is as simple as walking up to the counter and placing your order for dining in or to go. House favorites include their savory baby back ribs, beefy ribs, pulled pork “Broham Sandwich” along with a host of chicken dinners. Phil’s BBQ Restaurant customers have craved it, begged for it and waited in long lines for it – their great tasting BBQ. Now North County residents can fill their BBQ craving with the new Phil’s BBQ Restaurant in San Marcos. It opened to the public October 19 at 11 a.m. Their newest Phil’s BBQ Restaurant is located in the Creekside Marketplace at 579 Grand Avenue in San Marcos. 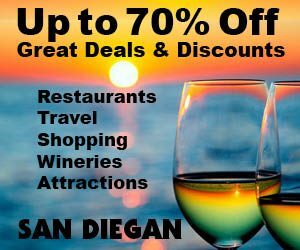 Due to the popularity of Phil’s BBQ sauce, San Diego County Costco stores recently started carrying the product. 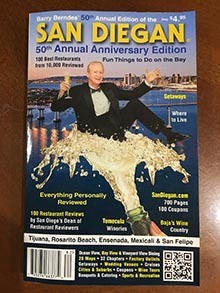 Phil’s has received numerous awards and recognition for its delectable BBQ, including the San Diego AOL City Guide Poll, San Diego Magazine Readers Poll, Channel 10 A-List, three time winner of Best BBQ by San Diego CityBeat Poll, Best BBQ by the San Diego Reader Poll, three time winner of the Barona Rib Fest and CRA Gold Medallion. You can also visit Phil’s BBQ online at www.philsbbq.net. in the Creekside Marketplace at 579 Grand Ave. in San Marcos (760-759-1400).